Mr. Bharara was not a registered voter during his roughly eight years as United States attorney for the Southern District of New York, a period in which he aggressively prosecuted political corruption, indicting the top two lawmakers in Albany, one Democrat and one Republican, and a top aide to Mr. Cuomo. If remaining unregistered kept him at arm's length from electoral politics, it also means he did not cast a ballot in the 2016 presidential campaign, an issue opponents could raise in a Democratic primary. It struck me as both strange and fascinating. Recall that during the Trump transition there was a period when Senator Schumer acted as a go-between to have Trump announce a plan to keep Bharara in office, which he was being urged to do at the time by Bob McManus writing in City Journal. 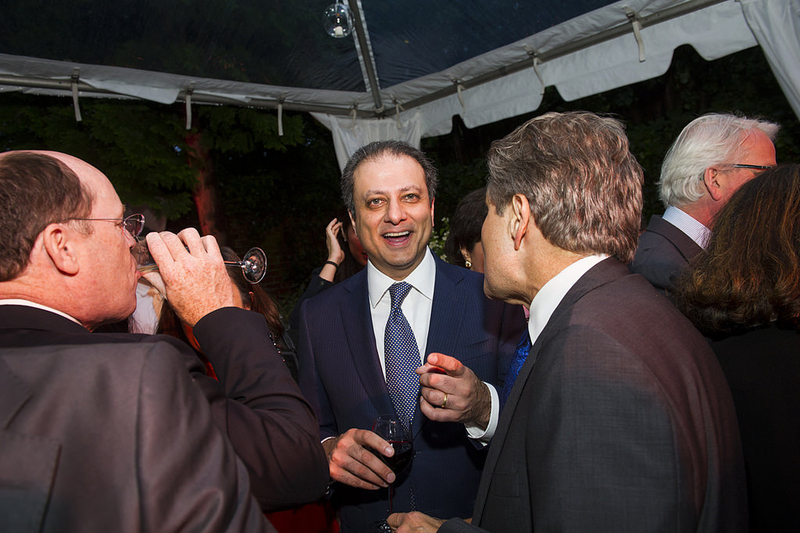 Mr. Bharara would have been able to tell Trump, truthfully, that he had not voted for Hillary Clinton. I can understand, I suppose, a prosecutor wanting to appear nonpartisan. But he could have registered to vote and just not gone to the polls, or just voted on ballot initiatives that didn't involve individual humans that he might have to make decisions about prosecuting. Maybe he was keeping his options open in case he wanted to run for future political office in New Jersey?